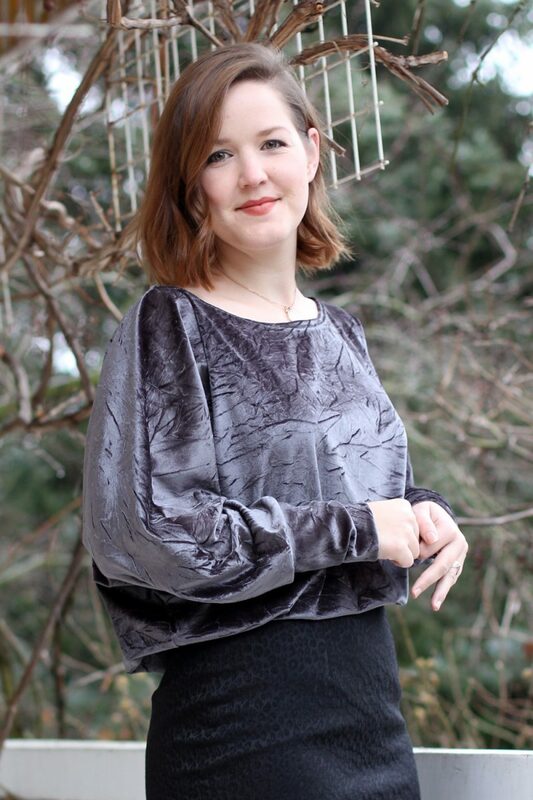 Last December I was approached by the lovely folks over at Stoffe.de (also known as myfabrics.co.uk) offering to sponsor my holiday outfit. Yup, December and I didn’t already have one. I’m a classic last-minute sewer, so I had neither an outfit nor plans for one (yet). I wanted to create a festive look that would work both for Christmas and New Years Eve. But how to do formal and casual in one? I went for quite festive fabrics, combined with a more minimalist and casual cut. Well, you know I love my pencil skirts for every occasion. They can be worn two ways – top tucked in or left out. It creates two very different looks. 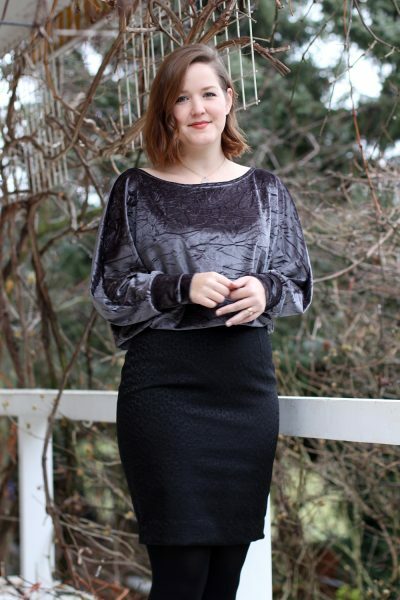 I paired it with a jumper pattern – mostly for comfort (and to have enough room for all the holiday meals). I’ve followed the newly arisen velvet craze and wasn’t too big a fan at first. Velvet can look outdated very, very quickly. But I thought I’d challenge myself a little and use fabrics I hadn’t used before: animal print plus velvet. If this isn’t stepping out of your comfort zone, then I don’t know what is. Let’s get into all the details, right? Pattern-wise I combined an old love with a new one! 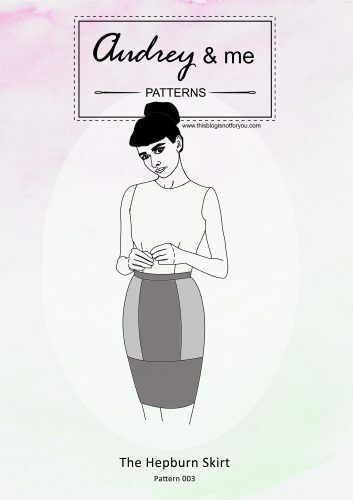 My beloved, fitted-to-death Ultimate Pencil Skirt pattern by SEW OVER IT, which I loooove to pieces. I stopped keeping track of how many I made so far. Roughly ten, I guess. I suppose I could sew it in my sleep now. I won’t go into too much detail, as I’ve been gushing over this skirt for years now. Well, it’s a classic and therefore qualifies as perfect base for any two-piece outfit. 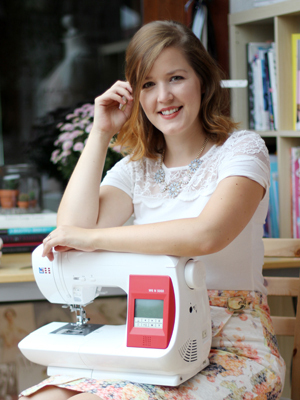 Since moving back to Germany, I slowly make my way around German sewing blogs and indie pattern companies. There are so many amazingly talented people out there, it’s unbelievable. I wish I had the time to follow more and try more patterns. 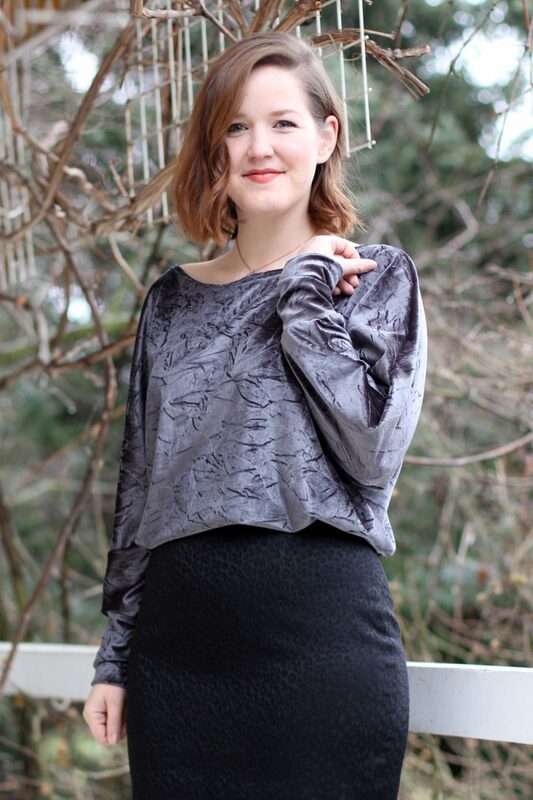 For this project, I tried the wonderful LaLinna jumper pattern by SCHNITTGEFLÜSTER (‘pattern whisperings’), who’s made it her goal to create super minimalist, basic patterns for all sizes. 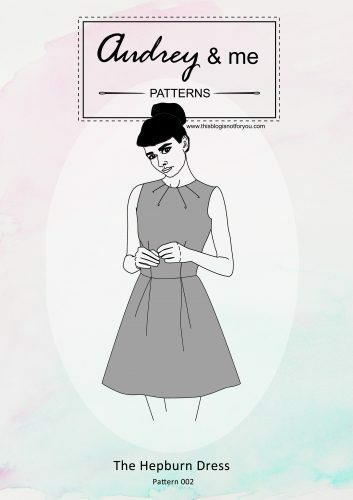 Their patterns range normal to plus size and are available as PDF-Download. They’re also very affordable and easy makes for beginners. As an advanced sewer, I had a lot of fun to use this cut as a foundation to add some fun details. Man, they have just SO many gorgeous patterns to gush over, I bet from now on you’ll never hear the end of it. I see a whole Schnittgeflüster year coming. Brace yourselves, I warned you. 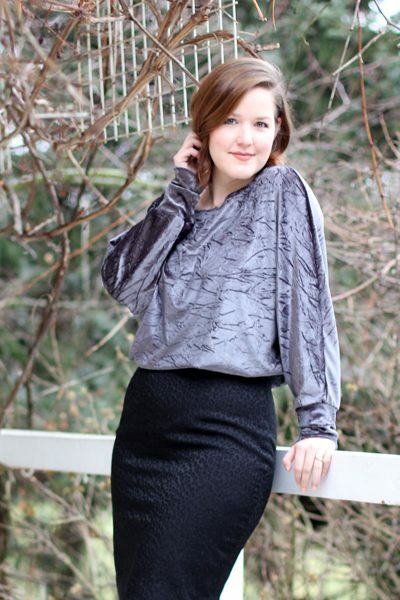 LaLinna is perfect tucked in or casually worn over the skirt. 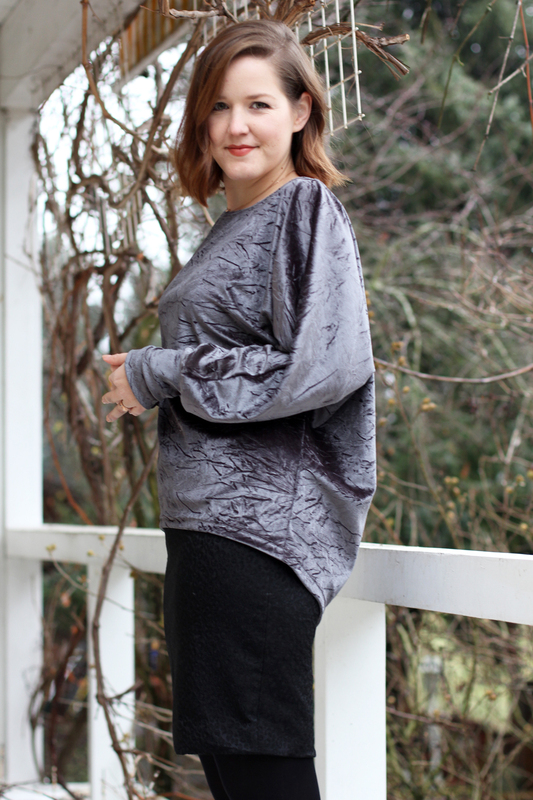 The batwing-sleeves are very comfy, add to a beautiful drape and look quite elegant with narrow cuffs. I changed the neckline to a boat neckline and lengthened the cuffs to make them appear even narrower. The hemline drops down at the back, adding even more volume and creating a gorgeous silhouette. The jumper looks great worn over skinny jeans, too. I wouldn’t mix it with really wide-fitting trousers or A-line skirts, though. 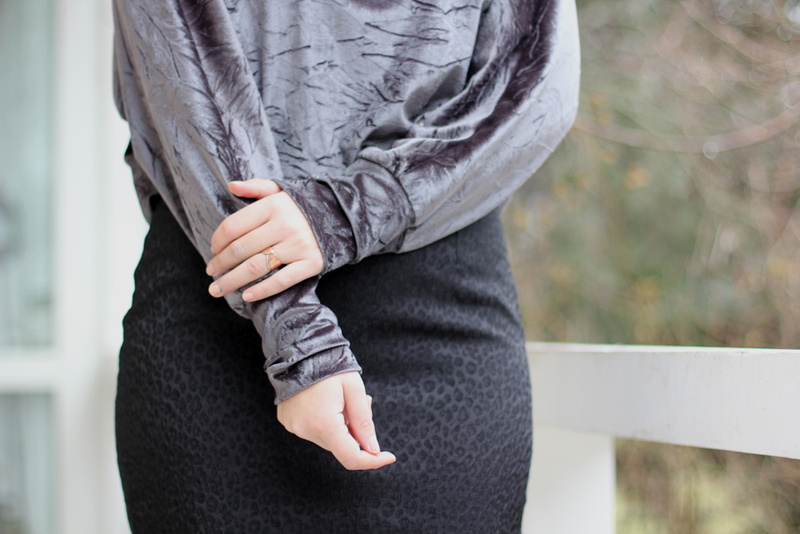 Who Said Animal Print and Velvet Isn’t Cool? 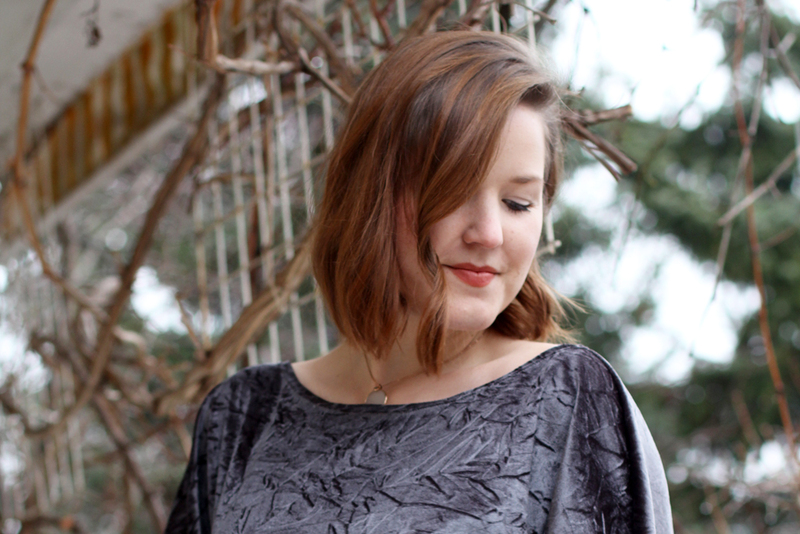 Let’s talk about these fabrics now, shall we? 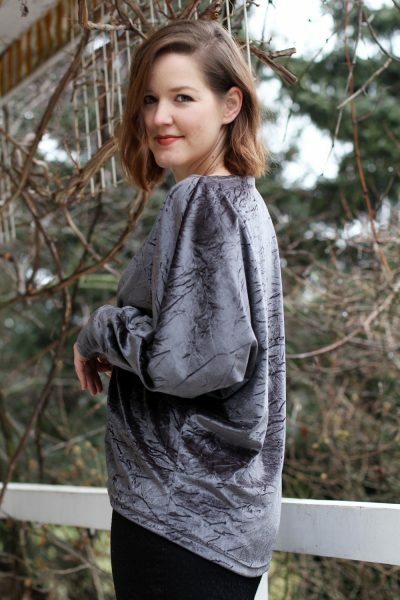 I really went for something I haven’t tried before and picked a crushed stretch velvet in antique silver (HERE‘s the link for you German folks) and a leopard print stretch jacquard in black (which appears to be out of stock, unfortunately!). Both fabrics are courtesy of Stoffe.de (also known to UK folks as myfabrics.co.uk). Despite having heard many horror stories about sewing with velvet, this wasn’t one of them. The velvet sewed like a breeze and wasn’t sliding around at all. 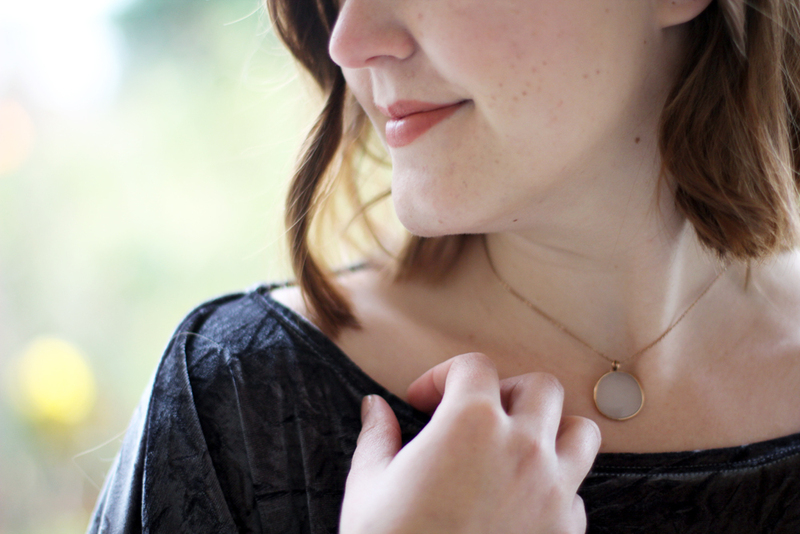 It’s got a very lovely soft texture with an elegant shine. The leopard jacquard is perfect for sewing close-fitting skirts (or trousers) as it has a nice amount of stretch. I used a stretch lining fabric (link for Stoffe.de) to go with it. The jacquard has a nice sheen and matches the velvet perfectly. So far so good, I’m VERY happy with this combo. I’ve worn the LaLinna jumper loads since the holidays, mostly with skinny jeans to work and can’t wait to rock that skirt again some time soon. Did you make something for the holidays? Also, if you have some great pattern recommendations for me to try in 2018, please share!